Coupon Code: Use "C55J28" during checkout to receive $10 off your order! "The AL9000 works great! This breathalyzer is super accurate and easy to use." "Software was easy to setup and export the results to Excel. The AL9000 does a great job at giving accurate results very quickly." 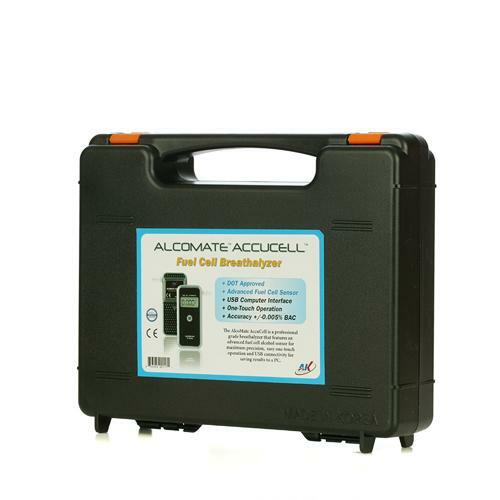 AlcoMate AccuCell AL9000 Fuel Cell Breathalyzer is a lightweight and portable alcohol detector that uses the new fuel cell technology for maximum accuracy. It is perhaps the easiest to use fuel cell based alcohol breathalyzer machine on the market today. 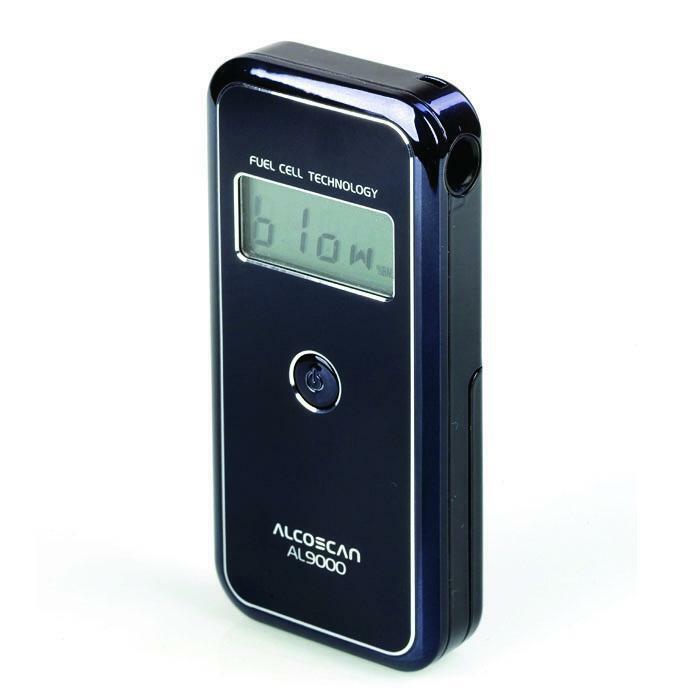 This high precision breathalyzer utilizes the latest in fuel cell technology! The AlcoMate AccuCell AL9000 puts the power of fuel cell technology to work for you in a personal breathalyzer that is accurate and reliable. Despite the complex look of its state-of-the-art design, the AL9000 has been designed for simplicity of use with one-touch operation. The AL9000 also allows you to connect the device right to you computer via a USB port to save your test results for future reference. The AlcoMate AccuCell AL9000 Fuel Cell Breathalyzer unit is portable and lightweight, which makes it easy to carry with you wherever you may roam. This alcohol breathalyzer may be the easiest to use fuel cell-based machine on today’s market! Many alcohol testers actually work by utilizing a silicone-oxide chip that detects and measures alcohol concentration in the human body. This design is subject to problems with contamination and is prone to errors. The AL9000 is more accurate and requires less recalibration. This device is designed to handle the rigors of high-volume testing without any problems. 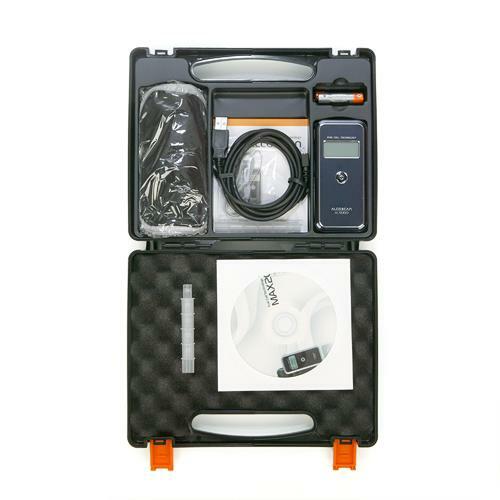 The AccuCell AL9000 was engineered with the professional tester in mind. As such, it has features that are not found on standard breathalyzers, like a USB connection that allows you to export data onto your computer and into a data program like Excel. The software that is included with the AlcoMate AccuCell supports Windows XP, Windows Vista and Windows 7. This device will give you an accurate reading of BAC concentration and provides you with a rapid response time. The AL9000 is ideal for law enforcement personnel, businesses, and hospitals. One of the most advanced techniques for determining intoxication is fuel cell technology. 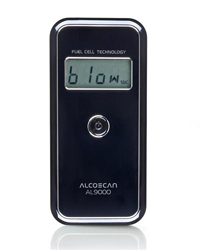 The AL9000 fuel cell breathalyzer is the gold standard in portable testing via breathalyzer. This type of device is preferred by peace officers and other law enforcement officials because it provides a high level of accuracy. Most of the breathalyzers on the market that are offered for consumer use utilize semi-conductor based designs that detect and measure alcohol in the breath of the subject. This technique is not as accurate as the AL9000 and the results achieved using many of the AL9000’s competition are subject to false positives and contamination. The AL0000’s fuel cell technology measures the content of alcohol within your breath by catalyzing platinum metal with a chemical reaction. During this reaction, the ethanol that is present in the subject’s breath is oxidized to acetic acid at the anode and the overall reaction produces acetic acid and water alongside an electric current. The current is measured. The measurement of the current is utilized to calculate the BAC. Fuel cell breathalyzers are more specific for the ethyl in alcohol and less prone to get a false reading from substances that are similar in their chemical makeup to alcohol, like ketones, for example. The AL9000’s results are accurate and reliable. Manufacturing advances have led to the dramatic price decrease that is now found in the fuel cell sector. Consumers can now have access to the same top of the line breathalyzer equipment that police departments and law enforcement around the world uses every day. In fact, the price on this model has dropped around thirty percent compared to what it cost just a year ago. Display: %BAC in 0.001 increments ranging from 0.000 to 0.400 Notes: * Accuracy varies depending on individual metabolism, blowing conditions, humidity, and the condition of the sensor.